One of the greatest obstacles to spiritual progress is the “Ego” or the “Ahamkaaram”. Bhagawan in His inimitable way makes it so easy to understand this, by splitting the word “Ahamkaaram” as “Aham (I) + Aakaaram (Form)”, which means “I am this body (form)”. Getting over this attachment / obsession to the physical body is indeed a great challenge. In this posting, Bhagawan explains to us the right approach we need to have towards the human body. 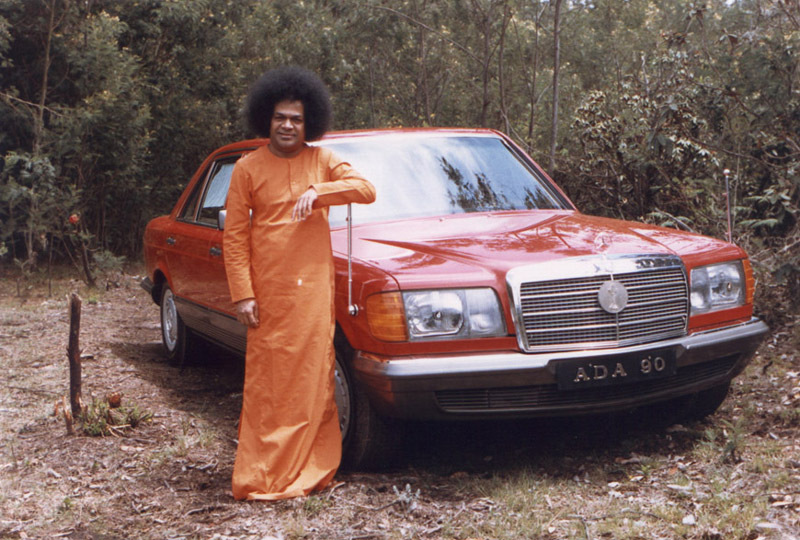 There are six excerpts from Bhagawan’s Discourses presented in this posting. These have been selected from a single Discourse given by Bhagawan Baba in the second Summer Course in Indian Culture and Spirituality, conducted by Him in the year 1973. The theme of this Summer Course was “Adi Shankara and Bhaja Govindam”. 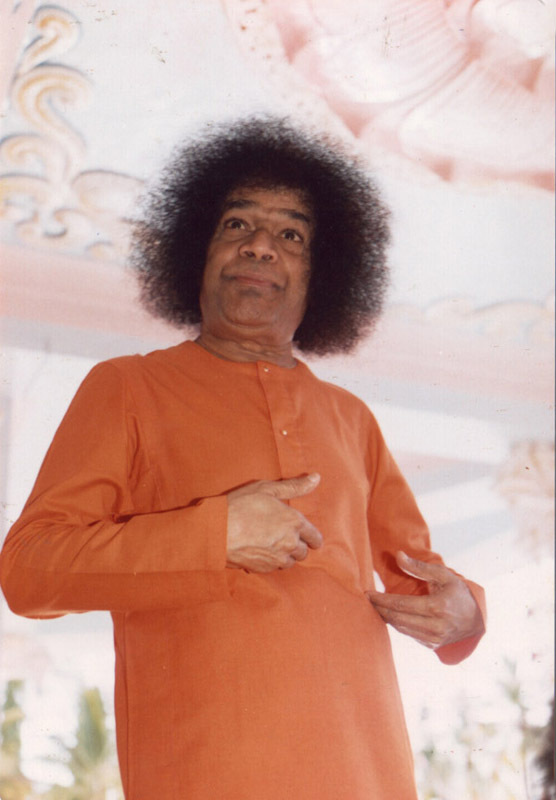 In the 1st audio clip, Bhagawan compares the human body to a chariot / vehicle and states that we need to protect it to the extent necessary but keep our eye always on the ultimate goal of life. In the 2nd clip, He explains how today we are steering our vehicles (human bodies) on the wrong path and thus facing so many difficulties. He gives some interesting statistics that reflects the state of affairs today, with respect to our approach to the physical body. 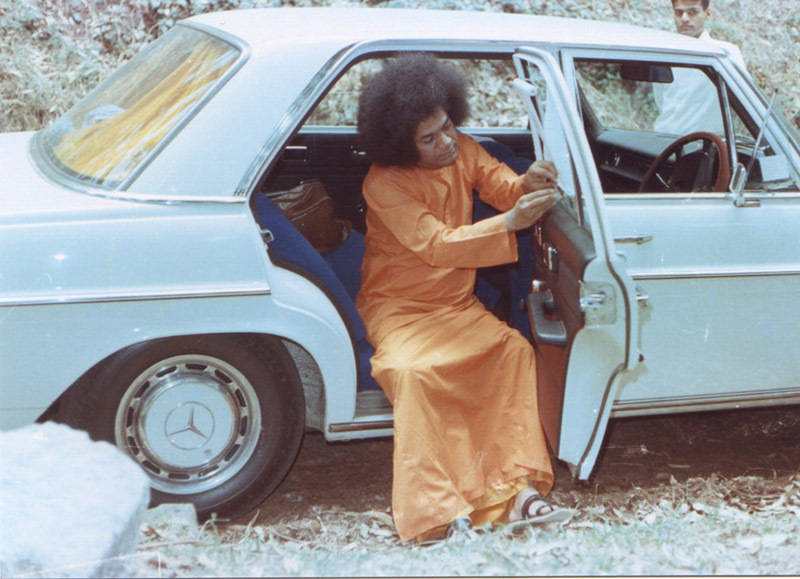 In the 3rd clip, Bhagawan draws an analogy between a car getting stuck up in a slush with our human body getting stuck up in this Samsaara (worldly life). In the 4th clip, Bhagawan condemns our over obsession with the physical body, which has no use without the life force that activates it. In the 5th clip, Bhagawan clarifies that He does not expect us to completely ignore our human body, but is only asking us to give the right attention to it; without getting too obsessed with it. Finally, in the 6th clip, Bhagawan advises us to regard our body as a vehicle meant for journeying to the ultimate goal of life. He finally cajoles the students to uphold Dharma and protect the Bhaaratiya Sanskruti (Culture) acting as its custodians. It is to be noted here that Bhagawan has clearly stated that “Bhaarath” does not mean the geographical country of “India”. However, “Bhaarath”, Bhagawan says refers to a “way of life”. We must consider our human body as a chariot and no more than that. We must make sure that the various components of this chariot do not come to any harm or face any difficulties. That is all. All other efforts must relate only to the principle of the Brahman, and we must use this chariot to return to the principle of Brahman, from which we have started the journey of our life. People are driving their vehicle (body) on crooked paths and damaging the spare parts of the vehicle. 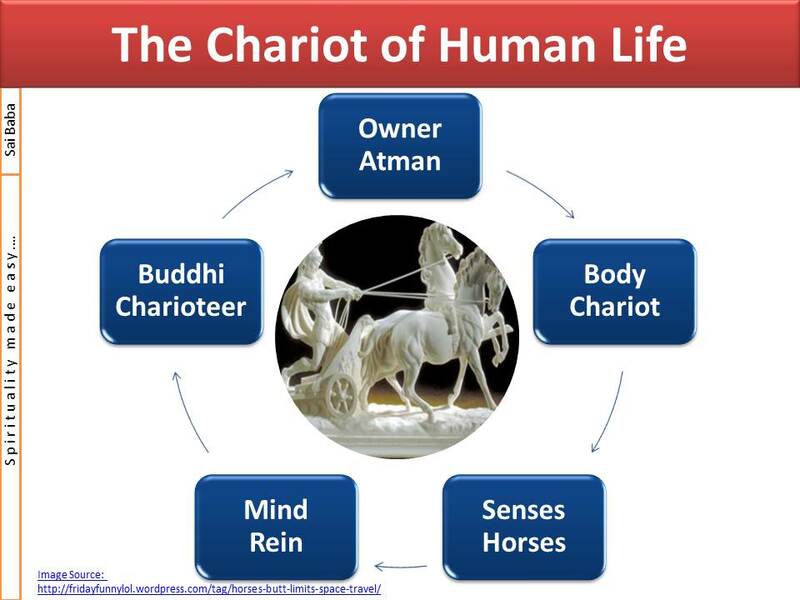 Today we are not driving our chariot (of the human body) on the right path. We are driving our vehicle on to crooked paths are thus facing many difficulties and are also damaging many of the spare parts of this vehicle in the process. Nearly 80% of the human beings are spoiling and damaging their vehicles in this manner. From the balance 20%, close to 15% of the human beings are treating their vehicles (of the human body) like cars in a show room. They are decorating them very well, eating all the time, not realizing the true goal of life and are getting totally drowned in the darkness of this worldly life, and are leading a life and enjoying happiness worse than animals. Having got this vehicle (of the human body) that is meant to be used for travel, if we do not put this vehicle into any use, for the purpose of travelling or for helping others to travel, then we may as well regard this vehicle as a mere mass of metal. An unused car is equivalent to a mere mass of metal! There is one aspect that we have to bear in mind. Just because we can sit in the car and take the vehicle wherever we want, if we drive the vehicle onto roads that are not good, we would to face many difficulties. That is, if we drive the car into places where there are no roads, or onto the hills or into the river, then we would have to undergo many tribulations and losses. In the same manner, if we take this human body into places where it should not be taken, where it is forbidden to go, then we would have to face lot of criticism, abuse, difficulties and losses too. 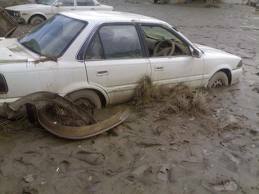 Just as when the car gets stuck up in slush, we would need the help of so many people to lift the car out; so too when this car of the human body enters into the world and gets stuck up in the mud of Samsaara (worldly life), we would need the help of Satsang (company of noble souls) and the advice of elders to help us come out of this fix. As we are giving too much importance to this human body which is of no great use, we are not able to understand our state, our destination and our sacredness. The skin of a dead animal may be used for so many purposes, but the body of a dead human being can be put to no use. Youth must understand that it is against the duty of mankind to be so obsessed with the insignificant human body, as to forget what is truly sacred and what the true goal of our life is. If we keep decorating our vehicle (body) and polishing it all the time, what is the use of having such a vehicle? Students, Swami is not saying that you must completely ignore the human body, or not take care of its upkeep, or ignore its health. We have so many vehicles – cycle, scooter, motorcycle, car, bus or even a bullock cart. We need to regularly keep them clean, fill oil or petrol and make sure they are in proper condition. This forms part of one’s duty. 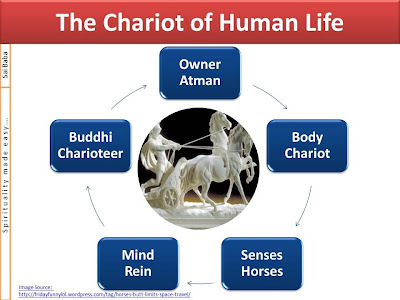 In the same manner, our human body is like a chariot. Just as we take care of a cycle or a car, by wiping it, filling oil or petrol and maintaining it in good condition, in the same manner, for this human body that has been given to us to make the journey of life, we need to clean it from time to time, offer it food that is required, and keep it in proper condition. This is of utmost importance. But, forgetting our very life, if we keep decorating our body, filling it with petrol, and keeping on polishing it all the time, then what is the use of having such a vehicle? Therefore, as we have donned this vehicle of the human body, we must see to it that there is no harm to this body, there is no obstacle to our journey, and that we reach our goal safely. To this extent we must take care of our human body. Beyond that we must always keep our focus on the goal, on our destination and travel along the journey of our life in this world. This is the supreme path. Students, embodiments of love! You do not need to be careless in taking care of the health of your body and keeping it strong and capable. But, you must consider the truth that this human body has been given to bring victory to Dharma in this country of Bharath. Thus you must engage in Dharmic actions, fulfil the command of elders, and uphold the Bharatiya culture as its custodians. You must keep your body strong and fit, and your mind sacred, for the establishment of Dharma in the future and for upholding the sacred culture. It is my wish that you participate in this noble endeavour. 1. With respect to the approach that human beings have towards their physical bodies, what statistics does Bhagawan give us? 2. If the vehicle is not used for the purpose for which it is intended, then what do we regard it as? What is the message Bhagawan drives home through this analogy? 3. 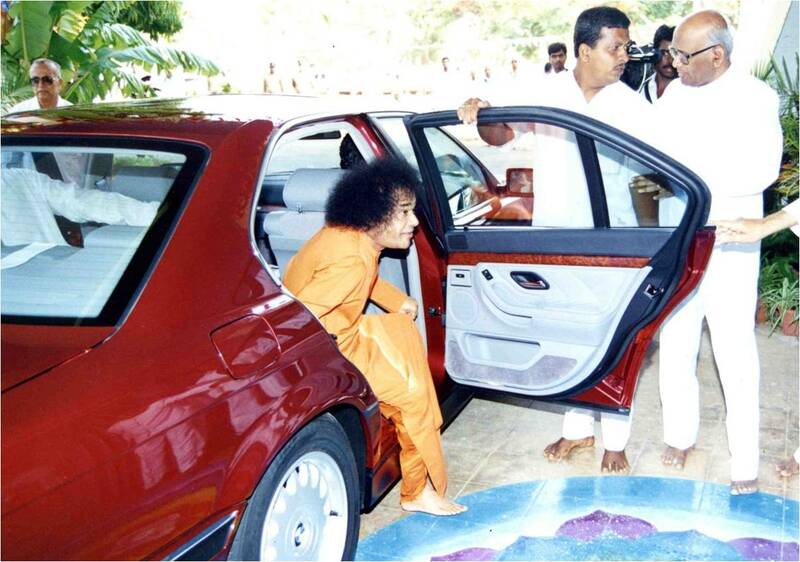 What message does Bhagawan communicate by giving the example of a car that gets stuck up in slush? 4. 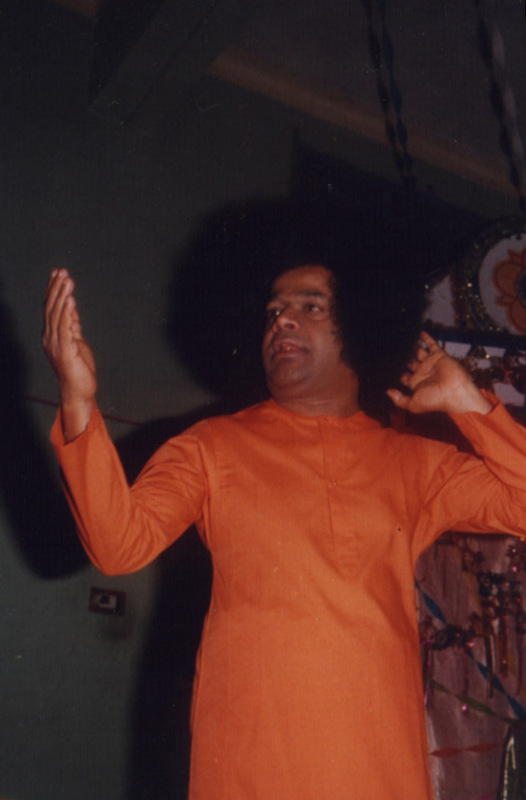 Does Bhagawan advise us to completely ignore our human body? If not, what does He truly expect us to do? 5. What wish does Bhagawan express towards the end, with respect to our duty towards our human body?